Registration for the 2019 Season is now open online at Hurleyrec.org. If registering in person is more convenient for you, stay tuned we are working on several options where we will host in-person sign-ups in the Upper Pavilion of the Rec. We have added additional options for membership levels this year. If you are interested in Hurley Rec Daycare (Rec Rats). Purchase your preferred membership option and then go to "Programs" to finish your registration. Please fill out all forms and return them as soon as possible. 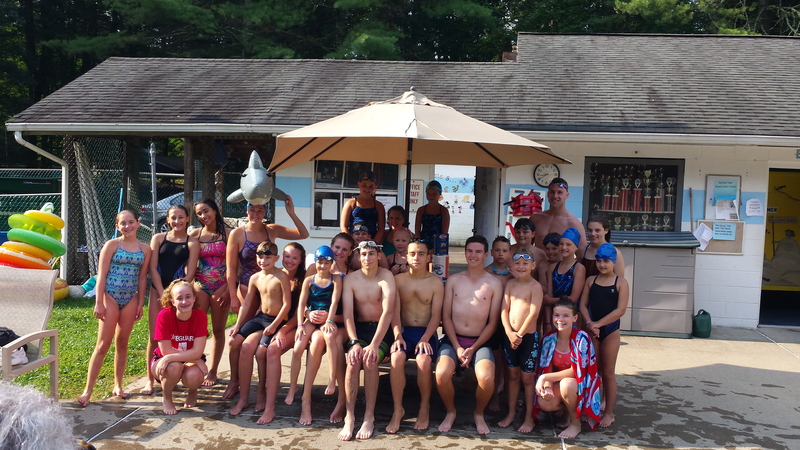 For Swim Team Only Membership option, simply purchase the Swim Team Only Membership and then fill out the Hurley Tiger Sharks Medical form and send in. For any other membership option, purchase your preferred membership option and then go to "Programs" to finish your registration. Please fill out the Hurley Tiger Sharks Medical form(s) and return it(them) as soon as possible. If you are a returning Rec Member from 2018 and know anyone who may be interested in joining the Rec for 2019, have them drop your name during registration. We are offering a one time "Member Referral Credit" of $50. It will be applied to your membership after they successfully complete the registration process. We have created several committees. If you are interested in an alternate way to contribute to the Rec. Consider joining a committee. Descriptions are on "Membership/Committees". June 22 - Beginning of Summer Party - 1-4p. If you have questions about registration or membership levels, contact Mario at presidenthurleyrec@gmail.com. Our goal this year is to be open for Memorial Day Weekend and then weekends in June. We need help during preseason work parties to make that happen. Bring your beverage of choice, we'll provide burgers and dogs. Contact Carolyn at snackbarhurleyrec@gmail.com. We are a non-profit community association that offers its members recreational activities on a large campus containing 2 pools, 2 tennis courts, baseball field, basketball court, playground, 2 pavilions, hiking trails, and more. Membership registration is open for 2019. The Hurley Rec is a wonderful place for families to get away from it all while being only minutes away. Please click on the "MEMBERSHIP" button to become a member today.